Covers. Every author’s favorite subject. 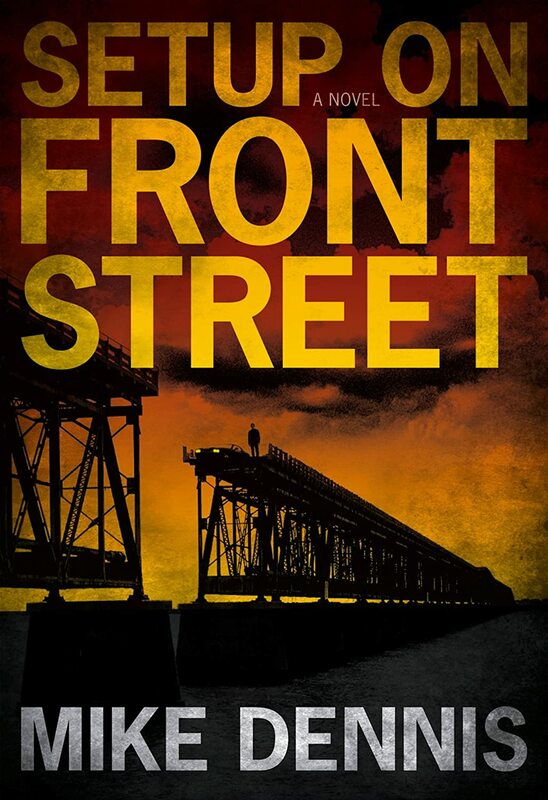 Especially when the cover design for his/her novel is imminent. I would imagine that during this uncertain period, more Tums are consumed per capita among crime fiction authors than at any other time. And for good reason. Covers are the source of great anxiety. Will it be dynamite? Will it be terrible? Can I live with it? 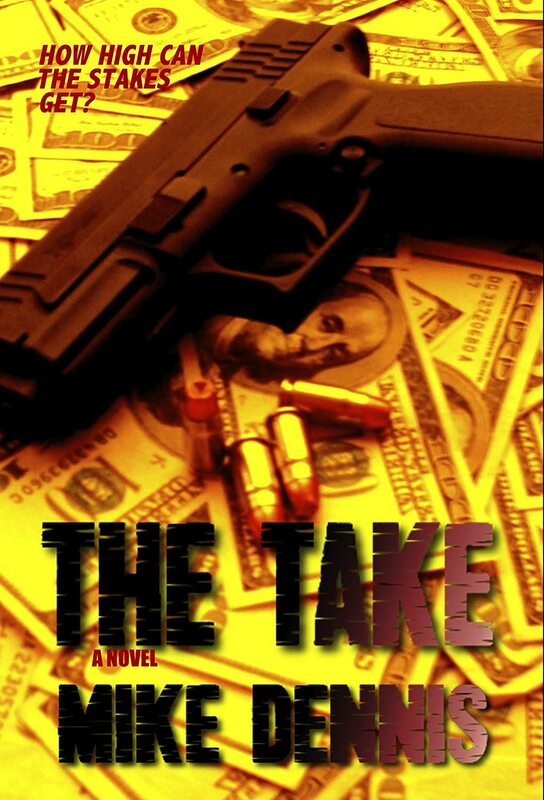 What’s an author to do? Of course, the answer is nothing. There’s not a single thing you can do about it, unless you’re Stephen King or somebody. Don’t believe your friends when they tell you you can’t judge a book by its cover. That made for a good Bo Diddley song, but you might remind them that forcing a person to make snap judgments with very little else to go on is precisely the purpose of covers. 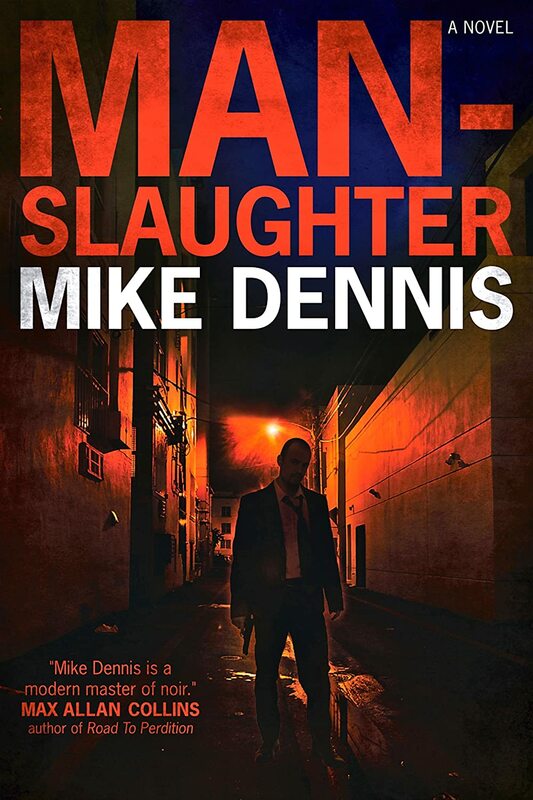 However, if you’re fortunate enough to have a hip editor, as Megan Abbott did for her debut 2005 novel, Die A Little, then a lot of the stress melts away and you get a cover like this. 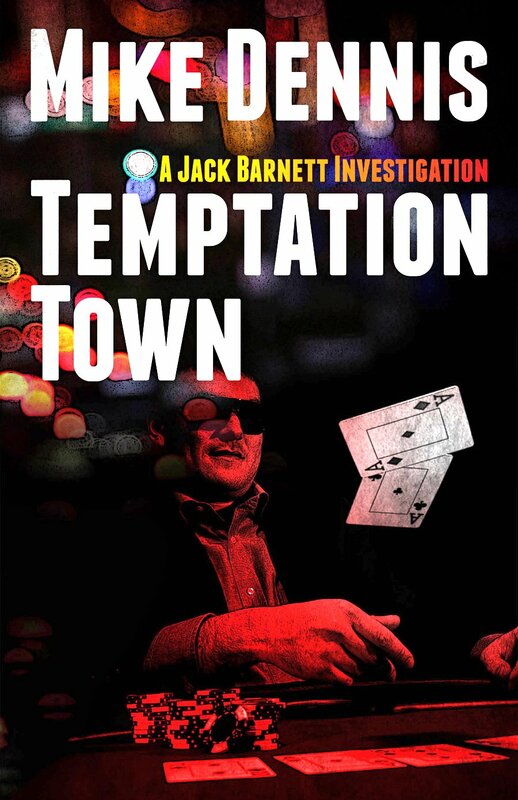 This outstanding cover, designed and photographed by Richie Fahey, is, as I said in a review of this novel, almost worth the price of the book by itself. The use of hand-coloring over a black & white photo, with all the tones just right, make this a book which will grab the attention of even the most casual browser. 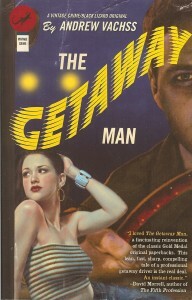 Fahey also painted, but did not design, the cover of Andrew Vachss’ The Getaway Man (2003), arguably Vachss’ best novel. These two covers, along with the ones that follow, are among my favorites. 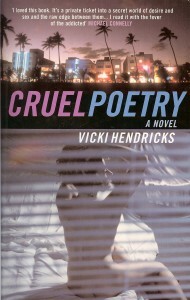 Here’s Cruel Poetry, a great 2007 Florida noir novel by Vicki Hendricks. I just love all the elements of this one. 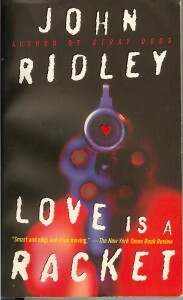 John Ridley’s terrific noir novel, Love Is A Racket (1998), sported an attention-getting cover. 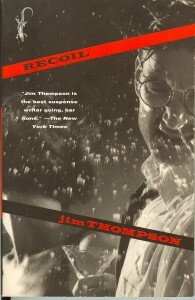 I love the little heart in the gun barrel, as well as the scary font. No need to introduce Hard Case Crime. We all know the great work they do. Here are a couple of their stunning efforts. Black Lizard/Vintage Crime put out some pretty damned good covers back during the late 80s and early 90s. 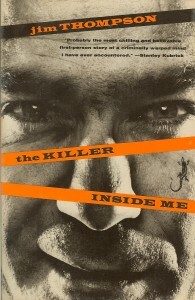 Jim Thompson’s classic nightmare novel from 1952, The Killer Inside Me, leaps to the front of my mind whenever I think about them. I don’t know who they got to pose for this photograph, but one look into his eyes and I can promise you I never want to meet up with him. 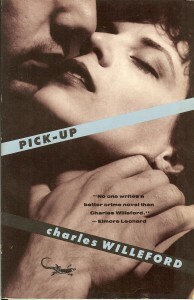 The cover to Charles Willeford’s Pick-Up (1967) is a great example of how a photograph can start off looking romantic and then end up looking dangerous. 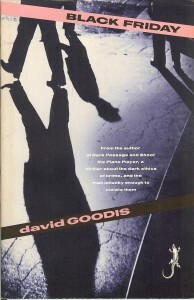 David Goodis’ Black Friday (1954) is minimalist cover design at its most effective. 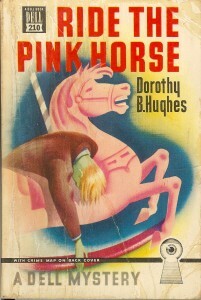 Last, and certainly not least, is Dorothy B Hughes underrated 1946 novel, Ride The Pink Horse. By the way, these are all great novels. If you haven’t read them, I urge you to do so. You won’t be sorry. 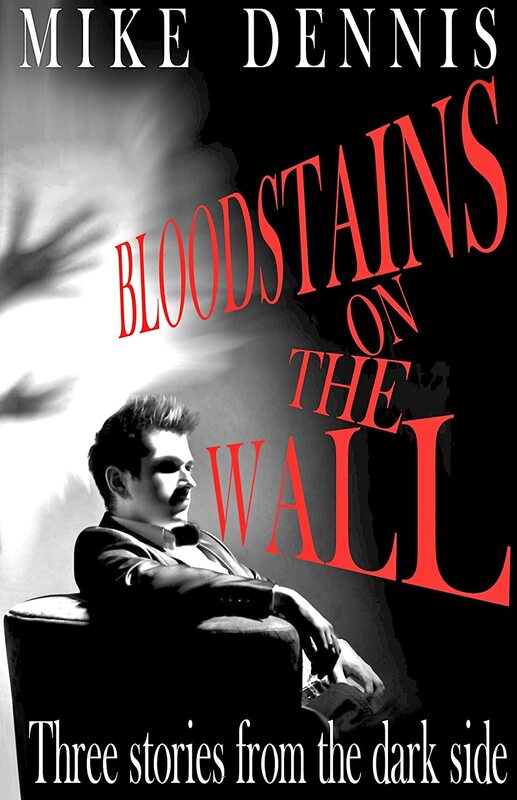 Anybody out there got any fave covers they’d like to share? These are just a few of mine, but my list is long. 2 Responses to COVER ME!! 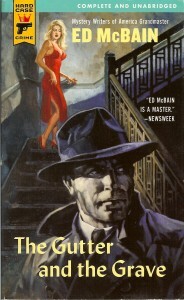 I just read your story on Mysterical-e. Great noir tale, tightly written. 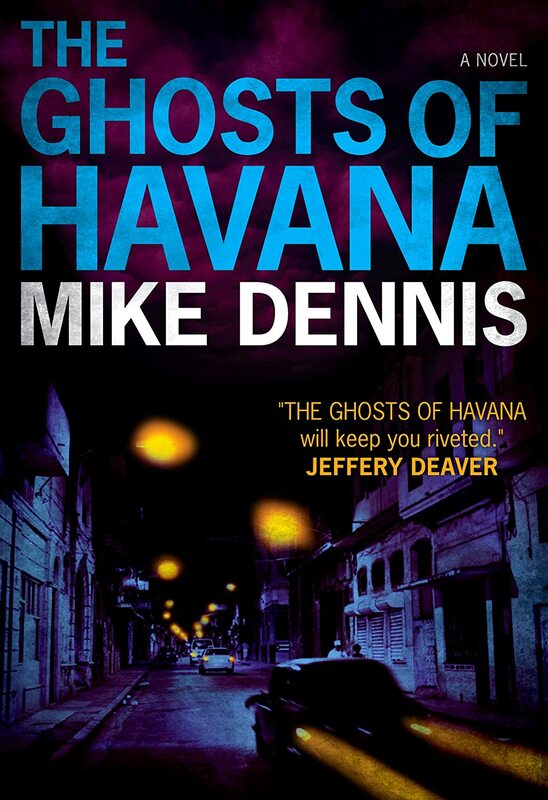 Excellent read. I don’t want to spoil the ending, but I like how you handle it through the chosen POV. ‘Nuff said about that. Thanks Dana. Glad you liked it.